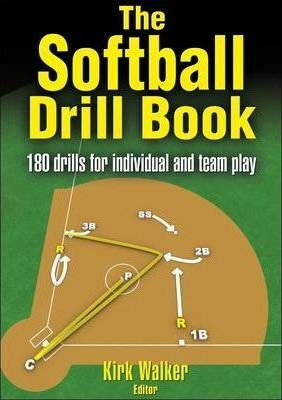 "The Softball Drill Book" includes 185 drills to help players and teams practice individual techniques and team tactics. Divided into four categories - training, fundamental skills, position-specific and tactical, each chapter contains drills submitted by a coach at one of the USA's top NCAA Division I programmes. Each drill explains in detail the purpose, setup, execution, variations and coaching points that will help readers execute the drill properly. Diagrams and illustrations accompany the drills to help clarify instruction. Drills that emphasise warm-up and conditioning, catching and throwing, hitting, and baserunning are complemented with those specifically designed for infielders, outfielders, pitchers and catchers. "The Softball Drill Book" gives readers the chance to practice like the best of the best with this special collection of drills proven to hone individual and team skills. Softball coaches at all levels will benefit from the quality information provided in this new book. Part I Training Drills; Part II Fundamental Skills Drills; Part III Position-Specific Drills; Part IV Tactical Drills. "This book's outstanding drills will take your practice sessions to the next level. I wish I'd had this resource when I started my coaching career. It has great explanations and illustrations!" "A drill book like no other! This inside look at what the best college programs do every day will help any player or team improve." Kirk Walker has been the head softball coach at Oregon State University since 1995, leading the Beavers to six NCAA tournaments. He is highly involved in the sport on many levels. He is currently the second vice president of the US National Fastpitch Coaches Association, in charge of lining up presenters at the annual convention. He was one of six finalists for the 2004 USA Olympic coaching staff and has coached the USA Elite team since 2002. He is the organiser of an annual collegiate tournament held in Palm Springs early in the spring. Walker is very well-liked and has had great success in organising people and projects.